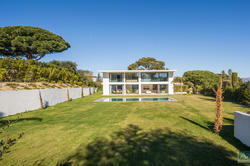 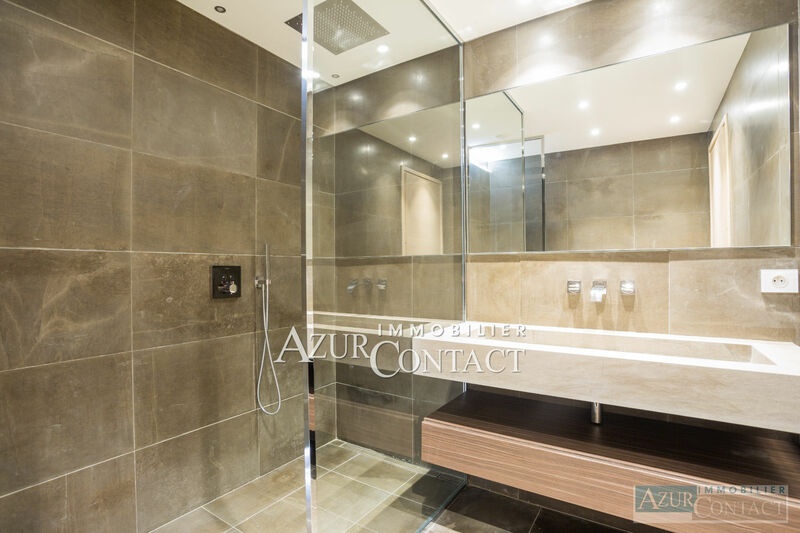 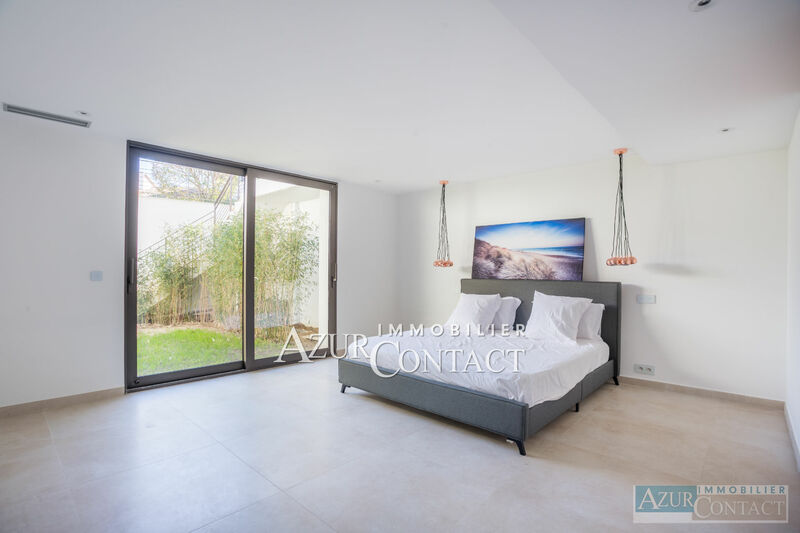 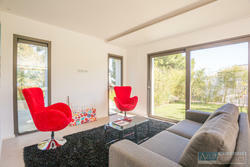 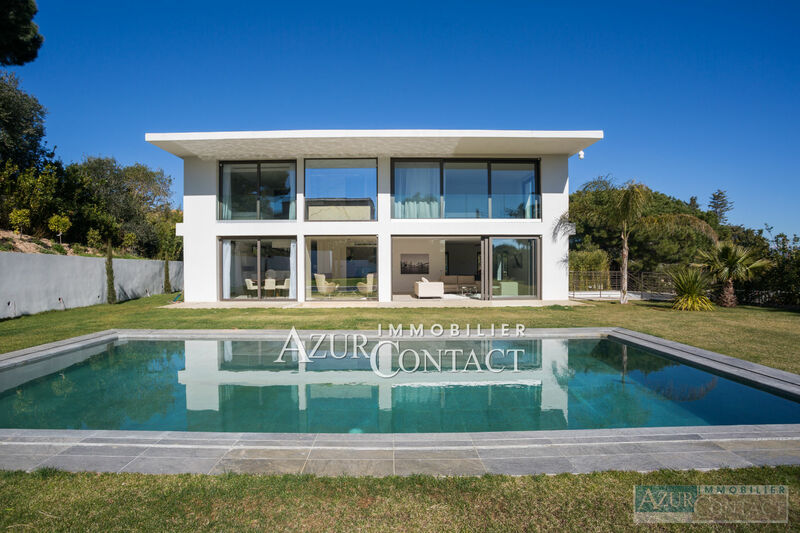 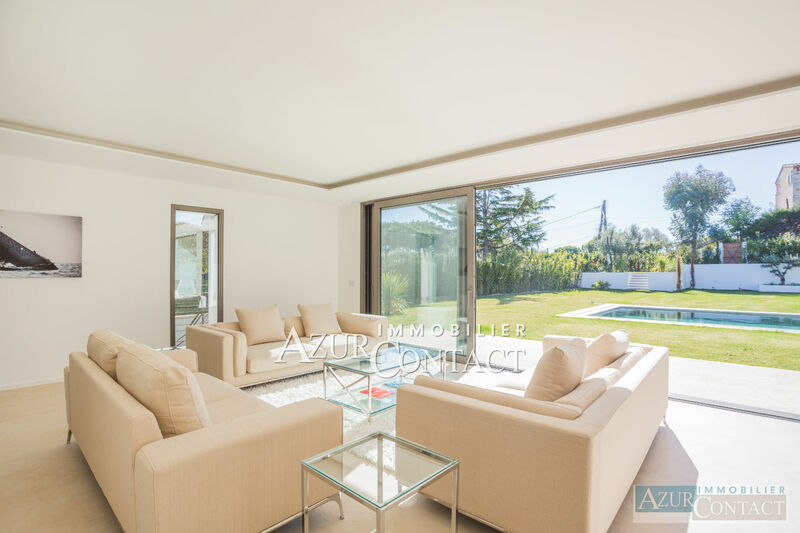 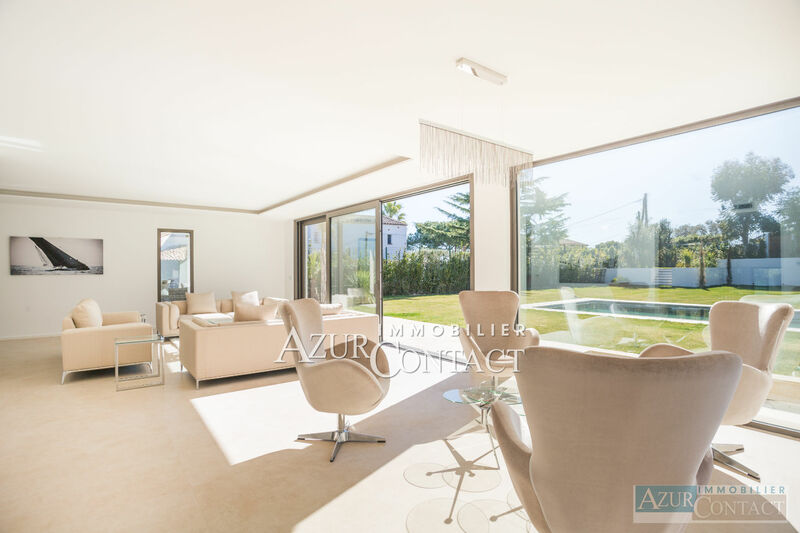 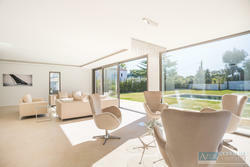 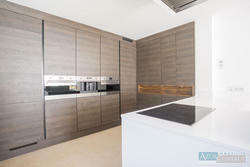 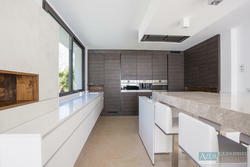 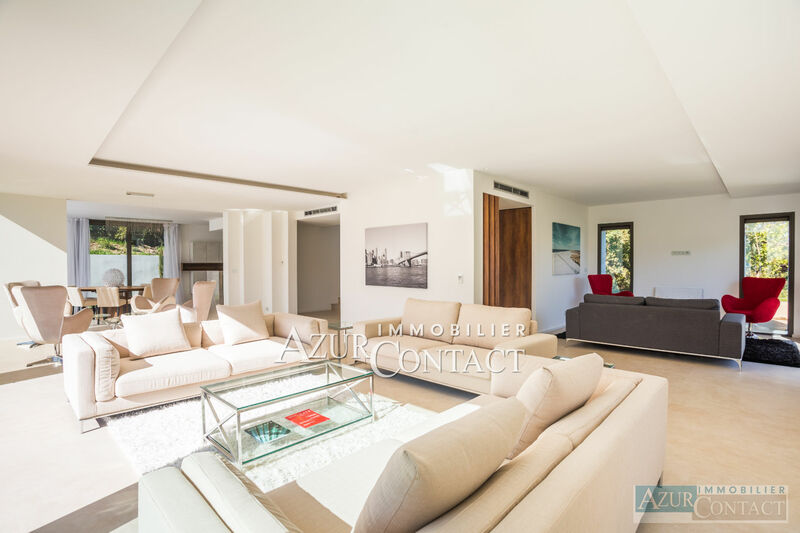 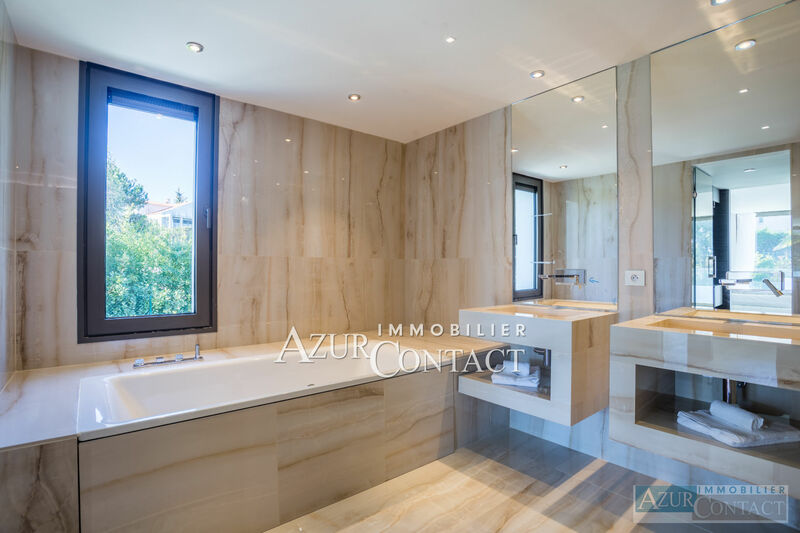 In the very residential area of Super Cannes, on the heights of Cannes and Golfe Juan, quiet, superb new contemporary villa of 300 sqm with luxurious appointments on a beautiful flat plot of 1658 sqm with swimming pool. 4 bedrooms en suite and 4 baths. 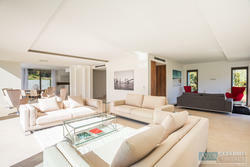 Home-cinema, laundry room and 3 car garage.